Timesheets in Project Server/Project Online provide great functionality where team members can submit updates on their tasks, which are then sent to their respective project manager for approval. Once approved, progress is then automatically recorded in the project schedule. This process helps in collecting progress reports on projects on a regular basis and avoids the need for Project Managers to chase their team members to get their progress update on their projects. 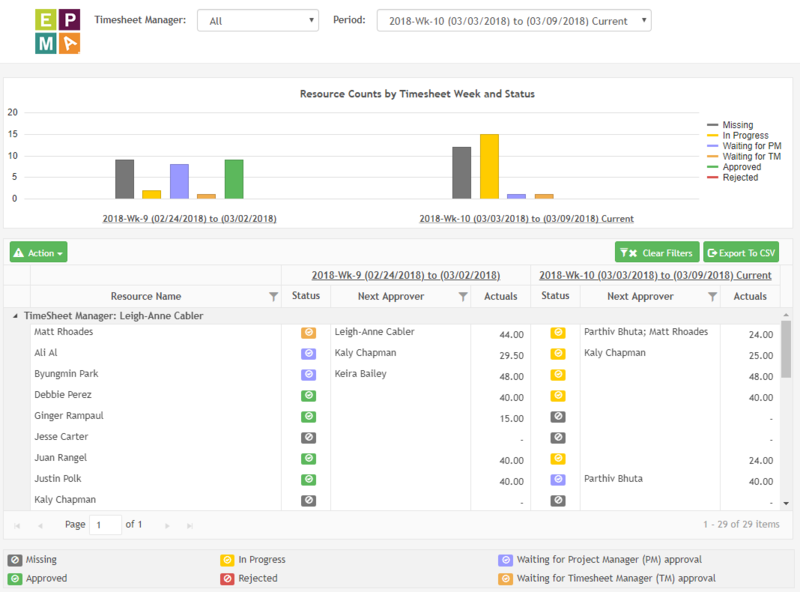 However, you can only get consistent and accurate progress data if team members update their timesheets on a regular basis and the project managers approve these timesheets on a regular basis. It is hence the responsibility of the PMO to ensure that everyone complies with their “timesheet process”. Unfortunately, Project Server/Project Online does not come with a report/view where they can come to one place and see everyone who is not in compliance with this process. 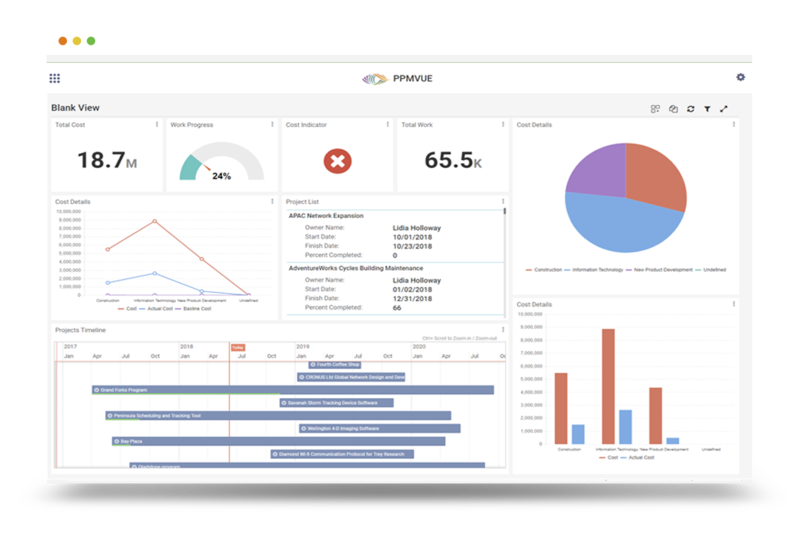 EPMA recognizes this problem and created a Timesheet Status Report App, that shows all the users that are not in compliance with your process. Learn how much time this custom app can save you by contacting EPMA Today. Who the next approver is. If the team member is working on multiple projects and his/her timesheet is waiting to be approved by various Project Managers, then it will show multiple names. Actual Hours reported on their timesheets. Project Manager/Timesheet Manager can navigate directly to their approval page directly from the app if they would like to approve any status/timesheet updates waiting for their review. You can also Export the team member Timesheets Actuals to a CSV file if you want to run a further analysis. This entry was posted in Microsoft Project Server, Microsoft Project Server 2013, Project Server, Project Server 2013, Timesheet and tagged Timesheet Status. Bookmark the permalink.